The SILT MAN is here! Silt Fences play a big part in maintaining your legal Sediment and Erosion Control requirements. 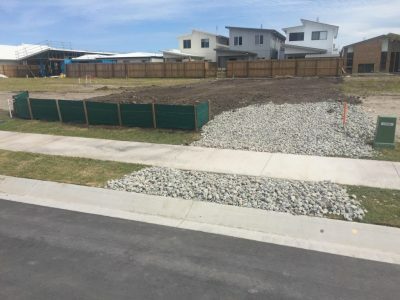 Councils charge from $9000 to $15000 if your work/building site has uncontained soil/sand or materials contaminating neighbouring property or waterways. Who NEEDS a Silt Fence? 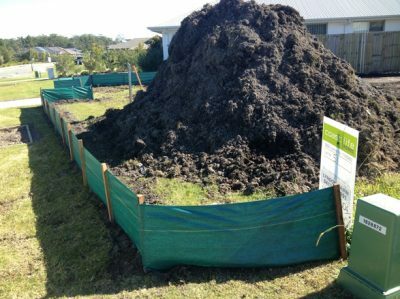 if you have disturbed ground on your work site as a result of earthmoving, you are most likely, in need of a Silt Fence. We provide quality silt fences to a range of different clients including owner builders, building companies, renovation and demolition service providers and more. Our Silt Fence installation process ensures the security of your site. 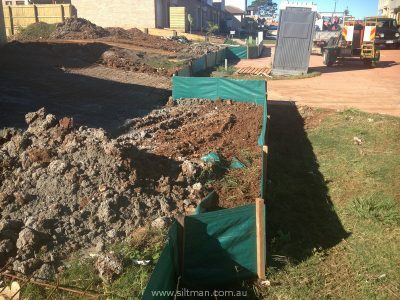 With a unique trenching and backfill process, a SILTMAN SILT FENCE will hold tight. This, combined with our specialised woven textile product, you will be doing your bit for the environment and keeping your work site above-board.